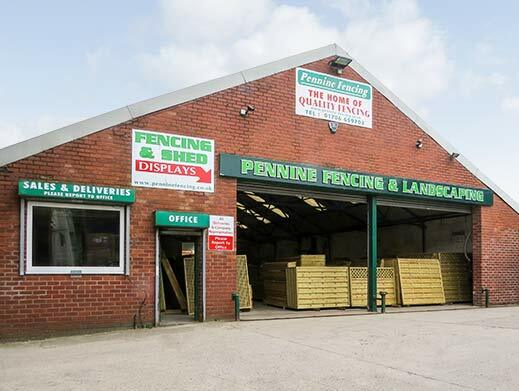 Pennine Fencing & Landscaping is a long established family owned and family run company. The business, a father and son partnership from its creation has been at our current premises for over 30 years. Both partners have been and continue to be actively involved in all aspects of fencing work, from production to distribution as we take great care and pride in our work. We believe that our hand on approach is the key to customer satisfaction and the continued success of our business. Obviously, as the years have passed by both of the partners have aged somewhat and despite his advancing years the elder partner continues to help out by jumping onto a forklift, fixing the machinery as need dictates and is invaluable in his advice to both the business and customers. Our aim is to provide fencing materials of the highest quality at fair prices. If you want to place an order or just need some fencing advice, call our friendly staff on 01706 659703. 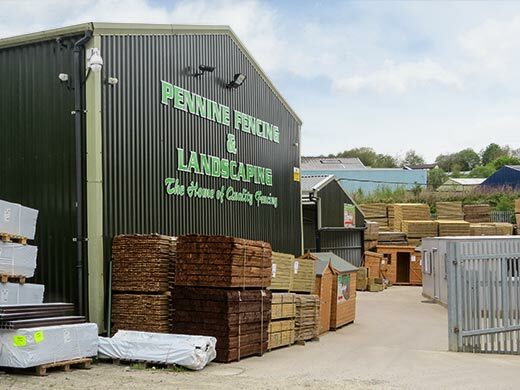 The company has grown over the 30 years to become one of the North West’s biggest suppliers of fencing panels and other fencing materials. We are renowned for producing and supplying quality and stylish fencing materials to suit both the traditional and the contemporary garden setting. Our product range provides enormous variety and options to suit all tastes and budgets; the choice is endless. Our aim is to provide fencing materials of the highest quality at fair prices which is why we made the decision to independently source our continental fence panels and other timber products a number of years ago. Three years ago we went a step further by ceasing to install the fencing ourselves in order to fully concentrate on achieving our aim to supply the very best of fencing at exceedingly fair prices throughout the UK.